Do not take the essential oil internally without professional supervision. Indigenous to Turkey and cultivated throughout the Mediterranean region, the cypress is an evergreen tree, growing to 100 feet, having tiny dark green, feathery leaves and male and female cones. The herb is gathered in the spring. Native to Mexico, the Montezuma Cypress looks a little like the giant cypress trees, with a brown bark, brilliant blue-green foliage, and conical fruit. Ancient Greeks took the cones, mashed and steeped them in wine, for dysentery, the coughing up of blood, asthma, and coughs. The Spanish name comes from the Aztec words for "old one of the water" because they live for hundreds of years. It is said that Cortés knelt and wept under such a tree outside Tenochtitlán during his temporary defeat on June 30, 1520, at the hands of the Aztec forces. The ancient tree of Tule, near Oaxaca, is a tourist attraction, and stands more than 144 feet high and 160 feet in circumference. The Aztecs used a tea made from the leaves and bark to bathe wounds. They also placed a piece of burned bark directly on sores, burns, and ulcerations of the skin. Packets of twigs and needles are commonly found in botánicas and markets in Mexican markets and in Mexican-American neighbourhoods. Used internally, is an expectorant for head colds, coughs, bronchitis, and for whooping cough. 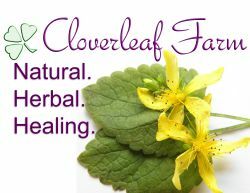 Externally, it is used in ointment or lotion forms and applied to varicose veins and hemorrhoids. A footbath of the cones is prepared as a foot cleanser and to counter excessive sweating. Such conditions as colds, flu, sore throats, rheumatic aches, and pains also benefit from cypress. In Latin America, all parts of the tree are used to heal hemorrhoids, varicose veins, chest congestion, scabies, and wounds.